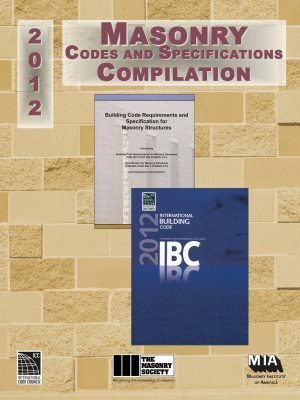 This package includes a set of basic structural plans with a sample quiz to help prepare candidates for the plan reading portion of the ICC/TMS Structural Masonry Special Inspection Examination. The sample quiz includes 8 questions with answers based on the plan set. Please review the usage agreement shown below and select the checkbox in order to add this item to your cart. 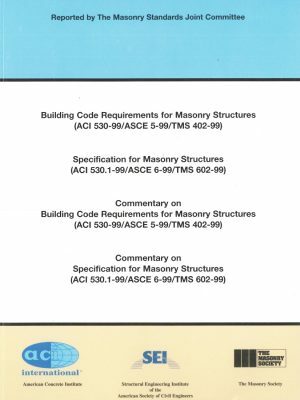 I acknowledge that The Masonry Society’s “Building B” Plans that I have purchased are intended only as a guide to help with my basic plan reading skills. I understand that the plans are not complete and should not be used in any way other than for plan reading training. I further understand that the details and general notes included in the plans are often incomplete, are sometimes intentionally atypical, and are in no way recommended. As such, I understand that the plans should not be used as a guide for plan preparation, or for typical masonry construction. I hold The Masonry Society harmless for any misuse of the plans which could include inappropriately using details or general notes in my own masonry plans. I understand that the test questions that are included in this packet are intended to help provide me with a sample of what types of things I may need to identify on the plans as an inspector, field engineer or testing technician. I recognize however that the questions are not intended to be a complete guide of what I may need to know, but are merely a sampling of some things that I may need to identify in an actual set of plans. I acknowledge that I recognize that these materials were created by The Masonry Society to help individuals with their basic plan reading skills. By purchasing this copy, I agree that I am the owner of these materials but that I may not copy them nor resell them. I also recognize that I am bound to the copyright and disclaimer agreements noted below. I also agree to pay any and all costs incurred by The Masonry Society that may result from my failure to conform to this agreement. By checking the box below you are signing this Agreement electronically. You agree your electronic signature is the legal equivalent of your manual signature on this Agreement and consent to be legally bound by this Agreement’s terms and conditions. reproduced or copied, in whole or in part, in any printed, mechanical, electronic, film, or other distribution and storage media, without the written consent of The Masonry Society. Disclaimer: These materials are intended for the use of individuals seeking to improve their plan reading skills. They are not intended for reuse in any form and do not represent recommended construction, plan preparation, or details. 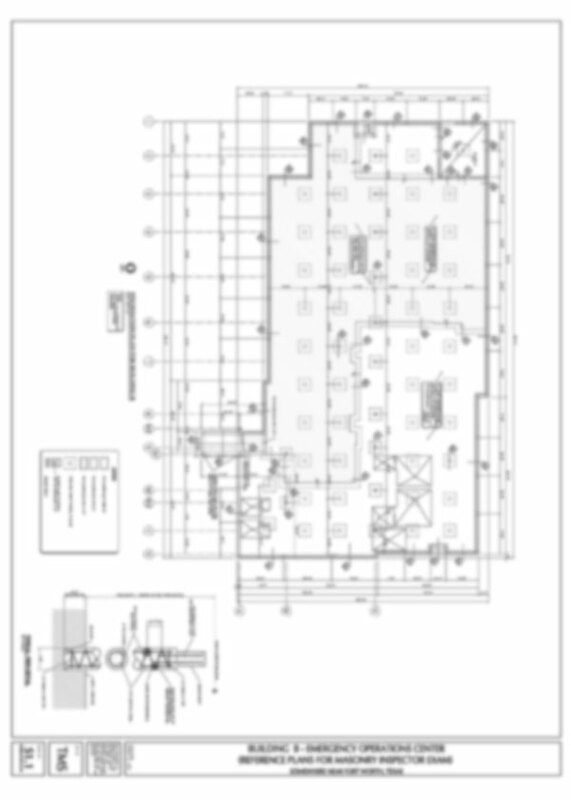 Details and notes in these plans are sometimes intentionally incomplete and atypical to represent some non-typical cases a plan reader may encounter. Likewise, some intentional typographical errors are contained in these materials, again to mimic issues that could occur on actual plans. These materials as such must be used with care by those fully understanding these limitations and who accept total responsibility for its use. The Masonry Society and its members disclaim liability for damages of any kind, including any special, indirect, incidental, or consequential damages, including without limitation, lost revenues or lost profits, which result from these materials. 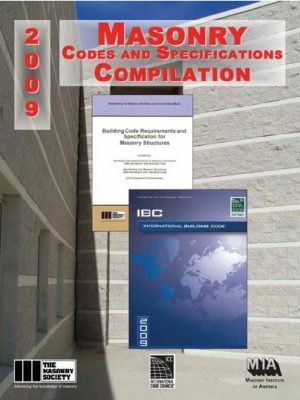 This package includes a set of basic structural plans with a sample quiz to help prepare candidates for the plan reading portion of the ICC/TMS Structural Masonry Special Inspection Examination. The sample quiz includes 8 questions with answers based on the plan set. THIS PRODUCT IS NON-RETURNABLE. ALL SALES ON THIS PRODUCT ARE FINAL.